(nee Reeder) Went to be with the Lord, Friday, February 1, 2019. Beloved wife of William Carl Linton, dear mother of David (Judy) Linton, Rebecca (Daniel) Young, Angie (Steve) Anderson, and Steve (Becky) Linton, dear daughter of the late James D. and Irma Reeder, dear grandmother of Erin (Peter), Cassie, Jenny, Benjamin (Sofia), William (Lauren), Rachel (Hans), Lisa, Alex (Jessica), Molly, Jonah (Gabby), Grace, and Jack, dear great-grandmother of twenty-four, nine of whom she is holding in heaven, dear sister of Carol Agness and the late James Reeder, dear daughter-in-law of the late Carl G. and Mary Z. Linton. 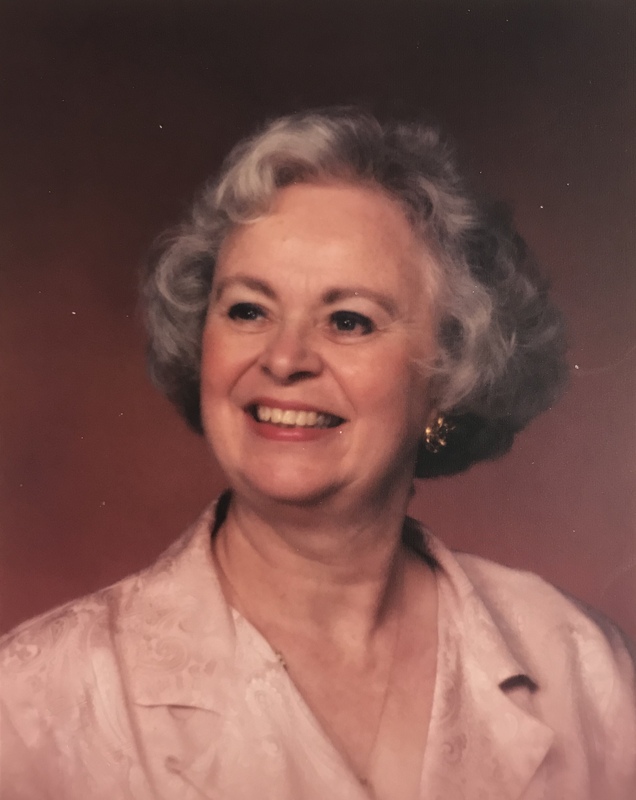 Lois was a founding member of Providence Reformed Presbyterian Church and Heritage Presbyterian Church (PCA). She was active in starting Westminster Christian Academy and Heritage Classical Christian Academy where she was a board member. Lois was also active in Bible Study Fellowship, Eagle Forum, many other community and church organizations. She was most recently a resident of Friendship Village Chesterfield. Lois supported her husband, William C. Linton as he served as a Missouri Legislator from 1986-2002. Services: Visitation and memorial service will be held at Kirk of the Hills Presbyterian Church, 12928 Ladue Road, St. Louis, Missouri 63141. Visitation on Thursday, February 28 from 7-8:30 p.m. and Friday, March 1 from 10:30 a.m. until the service at 12 Noon. In lieu of flowers, contributions to Heritage Classical Christian Academy appreciated. Visitation and memorial service will be held at Kirk of the Hills Presbyterian Church, 12928 Ladue Road, St. Louis, Missouri 63141. Visitation on Thursday, February 28 from 7-8:30 p.m. and Friday, March 1 from 10:30 a.m. until the service at 12 Noon. There are some people who are just plain irreplaceable. Everyone is unique and leaves an impression on others. But Lois Linton left a mark that will be impossible to erase in the hearts of so very many people. She truly invested herself in her family, her community and her nation. Strong and capable of so many things she was able to lead the charge and then double back to make sure that those in the rear were tended to and didn’t falter. For over four decades I cherished her friendship, her feisty adventures, and her honesty. She’s with our sweet Jesus now. And I miss her dearly. We are so sorry to hear that a great woman and Republican leader has passed on. She did so very much to further conservative principles and Christian education. We are grateful for her life which she shared will us all.